GRANNY GIRLS: Granny Girls Giveaway! We are so thankful to be sharing this adventure with you and we figured what better way to show our gratitude (gran-itude!) than with our very first Granny Girls Giveaway! Come on, who doesn’t like prizes? Since you now have The Best Baked Mini Donuts recipe on earth, you definitely need a mini donut pan so you can make them yourself. Lucky for you, it’s one of the prizes. 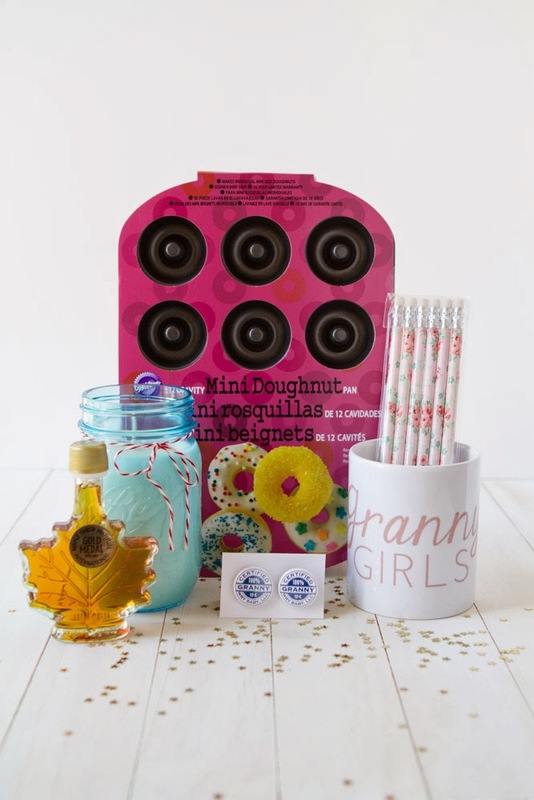 Also included is an official Granny Girls mug, some cute pencils, two Granny pins, real Canadian maple syrup (from our home town), and a homemade Mason jar candle (keep your eyes open for a future post showing you how to make your own!). 5. Comment below, letting us know what makes you a Granny Girl. You get one entry per option you complete. The best part is, you can use all of the options and receive up to 5 entries. Contest closes November 1st, 2013 and we will announce the winners shortly thereafter. Good luck! And thank you again for all of the amazing Granny-love. I'm in love with this blog! I'm definitely a granny girl. 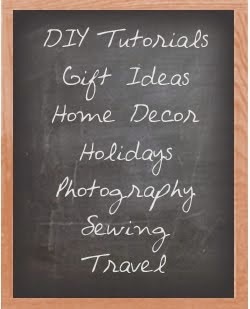 I'm a sucker for crafts, DIYs, and of course baking :) I look forward to getting some great ideas from site. Recently I've been burning candles like crazy, and I'm definitely looking forward to making my own candles based on your earlier post.